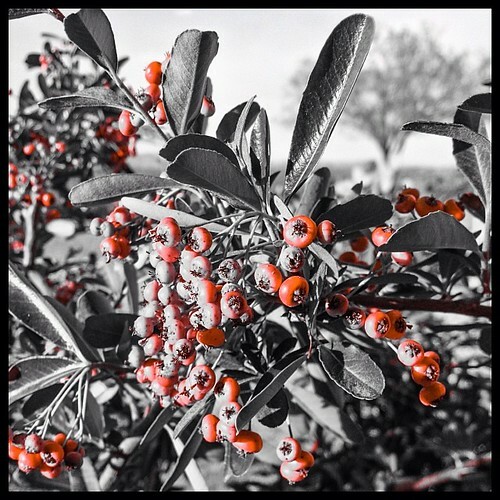 Pyracantha Carmine - 2013-316, originally uploaded by Judi FitzPatrick Studio. 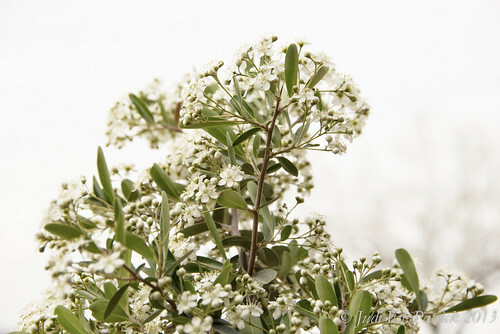 This shrub has lovely white flowers in the spring, then along come the berries that stay green all summer long. Now that it is cooling a bit, they have turned an orangy-red. Cropped in Squaready, processed and framed in PS Express.